Just days after KETV-TV on Omaha announced plans to rehabilitate a historic building, KWWL-TV in Cedar Rapids, says it will also invest in refreshing its historic downtown studio in Waterloo. The NBC station moved in to the former car dealership in 1958. 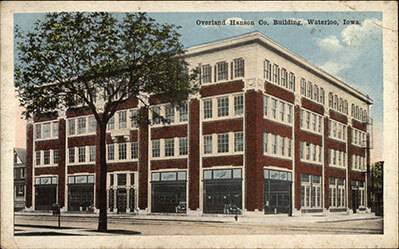 The building itself, which is considered a historic landmark by the city, was built in 1914. The station plans to use historic building tax credits to help fund the two phase project. Phase One will involve restoring the exterior, including replacing the first floor “aftermarket” facade with glass windows. Phase Two, which is still in the planning stages, calls for updating the third and fourth floors. The renovation will also include updating the facility’s technical aspects to accomodate modern broadcasting requirements. While the station hasn’t specified if it plans to update its set, bringing back the windows on the first floor could provide some interesting possibilities for a new streetside studio. KWWL-TV was purchased by Quincy Newspapers in 2006.